“Lost-creek-square” by Seefrank. Licensed under CC BY-SA 3.0. AUSTIN, Tex. and TUCSON, Ariz. (24 September 2015) – Despite the urban sprawl of the Austin metro area, some residents experience tranquil moments in the dark nights that still exist at the city’s margins. As newer local neighborhoods often include bright outdoor lighting, one Austin neighborhood has strived to preserve its nighttime environment. 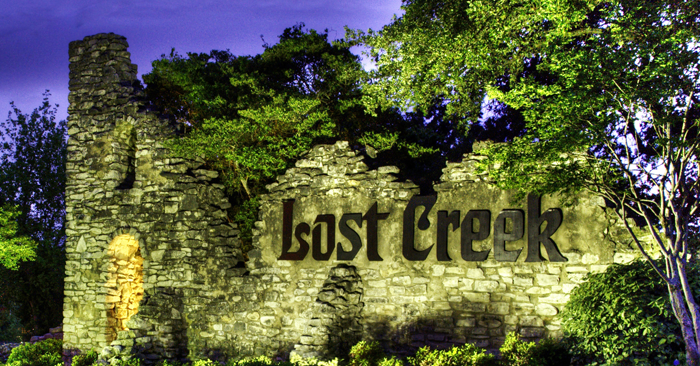 Residents of the Lost Creek neighborhood, located in Austin’s far west side in unincorporated Travis County, have taken steps to protect their night sky, even as high-density development approaches their neighborhood. In recognition of the neighborhood’s efforts, the International Dark-Sky Association (IDA) is designating the Lost Creek Municipal Utility District a Dark Sky Friendly Development of Distinction. The Dark Sky Friendly Development of Distinction program is designed to recognize subdivisions, master planned communities and unincorporated neighborhoods and townships that actively promote a more natural night sky, yet don’t qualify for the International Dark Sky Community designation. Developments of Distinction promote environmentally-sensitive outdoor lighting in an effort to preserve the environment from unnecessary light at night, including light trespass, glare and skyglow. The goal of the designation program is to encourage community support for quality outdoor lighting that serves community needs while protecting dark night skies. Lost Creek is only the third community to receive the Dark Sky Friendly Development of Distinction designation, joining the town of Harmony, Florida, and the Sierra La Rana development in Alpine, Texas. It also expands the number of locations in central Texas receiving IDA recognition to three, including nearby Dripping Springs International Dark Sky Community and Enchanted Rock International Dark Sky Park in the ‘Hill Country’ region.